A puppy that disappeared during New Waterford’s Santa Claus Parade has been found, but the little girl who owns the beloved pet is still heartbroken. It turns out the people who found the dog don’t want to give it back. 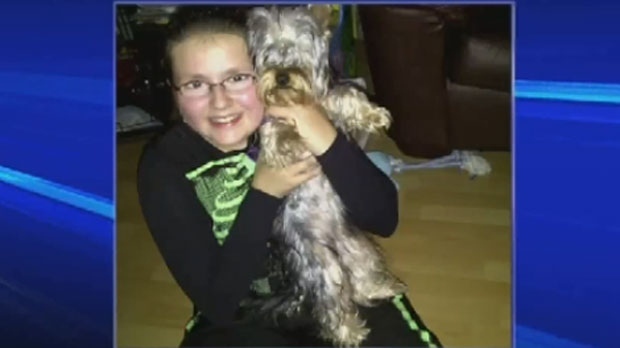 Bailey, an eight-month-old Yorkshire Terrier, ran off after being spooked by a loud siren about a week ago and her owner, 10-year-old Alyssa Gouthro, has been working hard to get her back. She told CTV News last week all she wants for Christmas is to have her puppy back at home, but it seems the family who took Bailey in wants to keep her. “I’m happy she’s inside somewhere and she’s safe and warm, but I’m just upset that she’s not home,” says Alyssa. 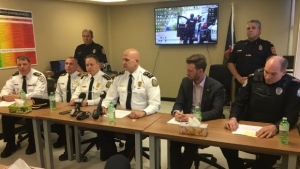 Alyssa’s mom says she received an anonymous call telling her the dog was safe, after a story aired on CTV News last week, asking the public’s help in finding Bailey. “(They said) that she had been taken in by a family in New Waterford,” says Nicole Gouthro of the anonymous caller. The caller wouldn’t identify the family but more tips continue to pour in. The Gouthros still don’t know who has their dog, but they say they are not looking for a fight; they are looking for a compromise. Since the Gouthro’s story first aired on CTV News, the family says they have received a flood of support from their own community and across the Maritimes. The Gouthros have contacted police, who say they can only do so much because they don’t consider the dog to be stolen. Alyssa maintains that getting Bailey back is her only Christmas wish. “I just hope they do realize it is all I want for Christmas,” says Alyssa. Her mom is offering a $500 reward for Bailey’s safe return.